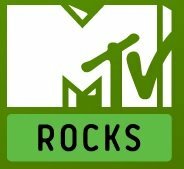 Music TV Channel / MTV Rocks is a 24-hour alternative music channel operated by Viacom International Media Networks Europe. Available in the United Kingdom and Ireland on subscription satellite and digital television services. The structure of the MTV Networks is different in Europe from in the US and so the role that MTV Two plays is somewhat different. The various nation MTV channels remain the flagship channels bringing a wide variety of popular music and many different show formats (including documentaries, reality TV, charts, text shows, and countdowns) however digital satellite in the UK has allowed MTV to operate subsidiary channels with their own specialist areas. So while in the US MTV2 was a varied, slightly alternative channel in the past, in Europe MTV Two is dedicated exclusively to alternative rock and indie, with the occasional alternative hip hop song; while other music output carried on MTV Base, MTV Dance, MTV Hits covering urban music (hip hop, rap, R&B and garage), electronic dance music, and chart music respectively.